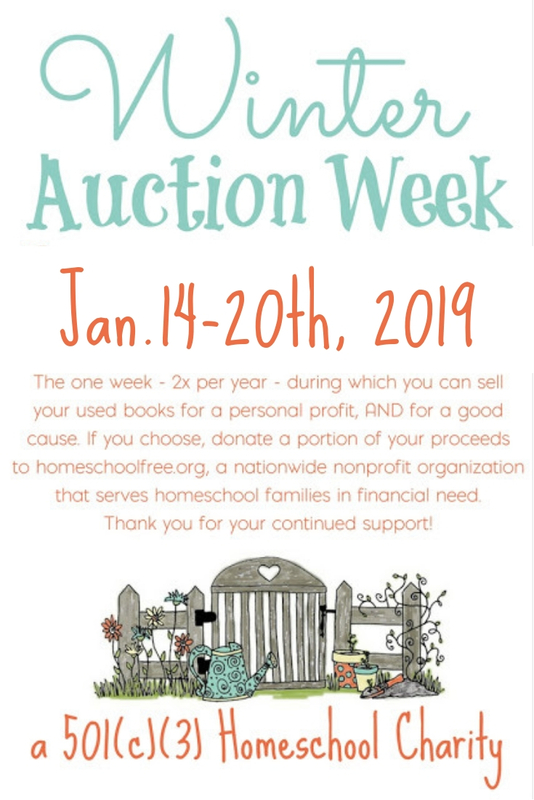 We recently had a generous donor offer one homeschool family the opportunity to receive their choice of Teaching Textbooks curriculum for their child. 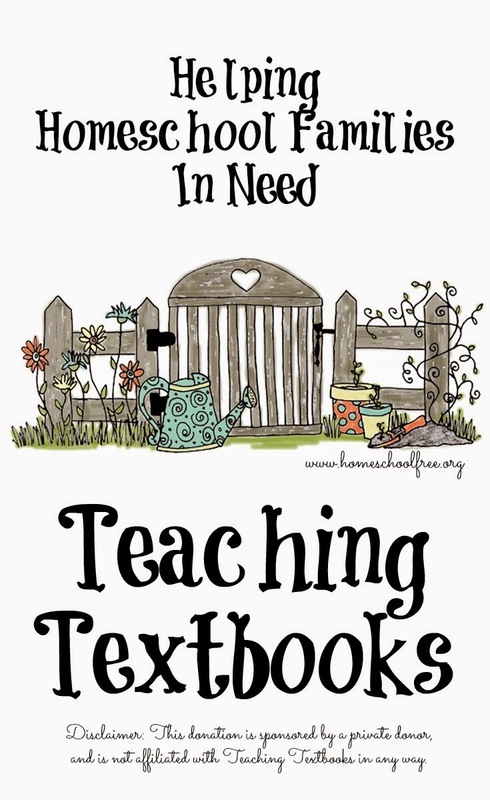 The donor specifically asked for the recipient to have a stated need, and to be homeschooling a child 5th grade or older. These facts were not stated in the application, so we could find the perfect recipient according to this donor's wishes. There were a total of 156 applicants. Of those, there were 97 who met the donor's criteria! So in this donation, we used Random.org to come up with ten finalists. Then, the leadership team voted to pick the recipient. "Last February I lost a pregnancy and the surgery left us with $20 k in medical bills. Our septic system has failed. Due to medical bills and home repairs, I couldn't afford to buy all the curriculum. My son is behind in math and this would be a huge help and blessing to us. Thanks!" She will be receiving Teaching Textbooks Algebra I for her homeschooler. We wish her much success in her homeschooling endeavors and hope she will pay it forward in the future! The donor supplied $200 for this donation. $6.10 was taken out by Paypal, leaving a remaining $193.90 for use. Teaching Textbooks Algebra I was ordered directly from the publisher, costing $184.90 and shipping was free. So, we will place the remaining $9 into our savings fund for tax status. We sincerely wish we could help everyone! Maybe someday we can provide more opportunities like this. Please spread the word about our organization, and help us attain our tax status as a charity (we're trying to save up $400 so we can offer donors a tax-deductible receipt for these donations). This donor did this out of the goodness of her heart, without receiving ANYTHING in return. 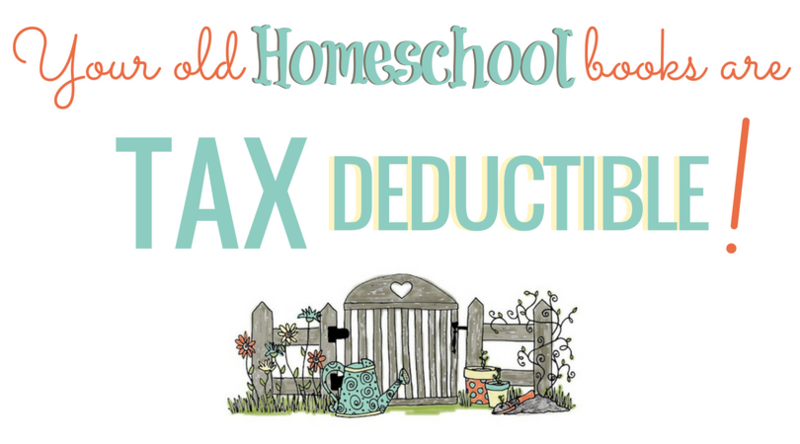 But we would LOVE to have been able to offer her a tax deduction for her generosity. Click here to donate.